Sindh and its provincial capital Karachi, are known for highest target-killing of media workers. Nearly 30% of total journalists died in the line of duty were based in Sindh. A total of 20 journalists and media workers have died in the line of duty in Karachi, 16 of which were targeted, 14 with complete impunity. 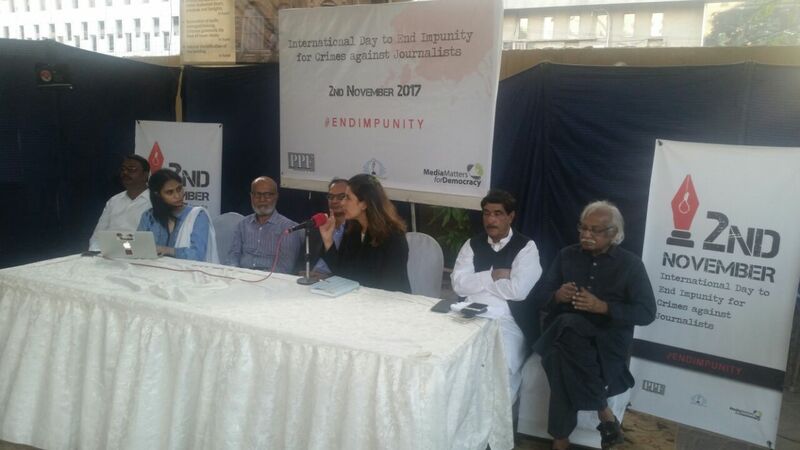 To call for an end to rampant impunity in crimes against journalists, Media Matters for Democracy and Pakistan Press Foundation hosted an event to commemorate the International Day to End Impunity for Crimes Against Journalists at the Karachi Press Club. The participants at the conclusion of the event passed the ‘Karachi Declaration’, demanding justice in crimes against journalists and for pro-active protection of those reporting under threat. KARACHI, 2nd November 2017: Representatives from various journalist and civil society bodies expressed grave concerns over the continued threats to journalists’ lives in Pakistan and urged the government to take immediate actions to end prevailing impunity for crimes against media. Participation of this event passed a declaration, formalizing demands to the federal and provincial governments to put an end to impunity. The journalists demanded that the government should expedite the investigations and prosecution in the pending cases of attacks on journalists, initiate of judicial inquiry in the case of Shan Dahar, a journalist with Ab Tak TV, killed in Larkana in 2013, make Hamid Mir and Saleem Shahzad commission reports public, enact meaningful legislation for journalist safety and take steps to protect journalists in Balochistan. 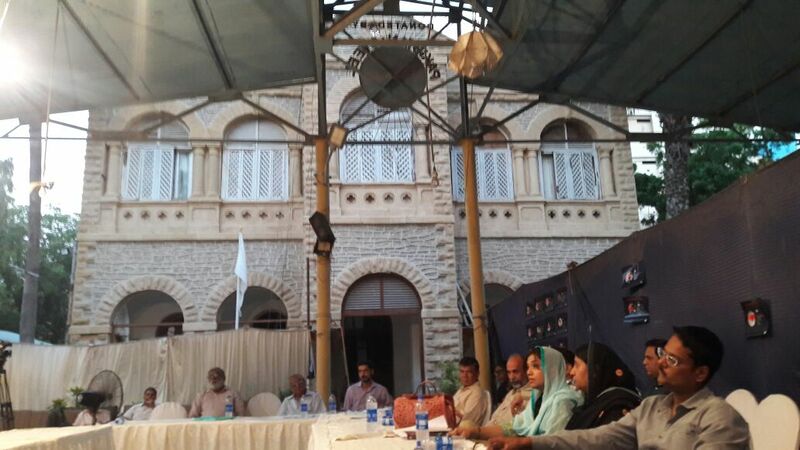 The event was co-organised by Pakistan Press Foundation, Media Matters for Democracy and Karachi Press Club to highlight the ongoing threats and attacks faced by the journalists in Pakistan and discuss possible solutions. Speakers at the event remained extremely concerned about the situation in Balochistan. Anwar Sajdi, a senior journalist from Balochistan said that after going after journalists, enemies of media in Balochistan are now killing the newspaper industry itself. “No papers have been published in Balochistan for the last nine days. The government has stopped giving advertisements to papers and the whole of print media is now at risk”. Speaking at the event Owais Aslam Ali, Secretary General of Pakistan Press Foundation shared the findings of 2017 report on impunity for crimes against journalists. He noted that the trends of violence towards journalists are as present as ever. “In addition to the physical security issues, the government itself is now showing that there is no tolerance towards dissent”, he said, “PEMRA is getting more strict. Cybercrime law is being used to silence journalists and even the law of defamation is being strengthened”. Ali also lamented the lack of a united voice in media. Maqsoos Yousfi, General Secretary, Karachi Press Club, “ said that “The government is not serious to resolve this matter. We have to pressurize the government by raising our united voice”. Faheem Siddiqui, General Secretary Karachi Union of Journalists, KUJ, repeated the sentiment and said “all the forces are afraid of our unity, repeated the sentiment. If we get united and raise our voices together, there is no doubt that we will be able to tackle this issue”. Hamid ur Rehman, Secretary General, Karachi Union of Journalists (Dastoor) said that “We have to take a unified stance for journalists. We have to pressurize owners that all media workers going to cover terrorist incidents and such should be provided security and protective gear”. Fouzia Dahar, sister of slain journalist Shan Dahar and Fahmeeda Yousfi, daughter of deceased journalist Manzar Imkani shared their experience and frustration with the investigative process. They also expressed sadness over the abandonment they faced from media organizations and asked for support and solidarity. The speakers also discussed the need for legislative and policy measures to fight impunity. Aleena Alavi, senior partner and Lo Bono Law said that “In addition to a specialized law there is also a need to discuss amendments in existing legal instruments particularly the Code of Criminal Procedure, CrPC and the law of evidence”. Sadaf Khan, Director Programs, Media Matters for Democracy expressed concern over the lack of transparency around the journalist safety legislation and said that “the government has been talking about a consultative process and has held multiple meetings with stakeholders. However, there is complete secrecy surrounding the actual draft of the bill. Despite various requests, nobody has been given access to the amended draft”. Other eminent speakers at the event included Siraj Ahmed, President of Karachi Press Club, Sohail Afzal, General Secretary of the Pakistan Federal Union of Journalists, Tahir Hassan Khan, former President of Karachi Press Club, Idrees Bakhtiyar, Dr. Jabbar Khattak, and Anwar Sajdi. 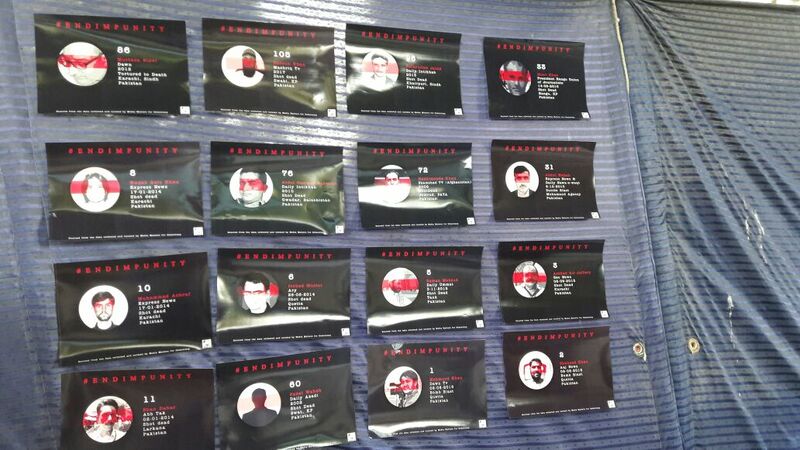 We, the undersigned, assembled in Karachi for the commemoration of International Day to End Impunity for Crimes against Journalists, on 2nd November 2017, express strong concern over the continued threats to journalists and media freedoms in Pakistan. We note with concern that, despite continued assurances from the government, the issue of special legislation for journalist safety is still pending, resulting in continued impunity in crimes against journalists. This situation has led to a concerning situation in which journalists across the country and under threat and unable to perform their journalistic function with integrity. To ensure effective investigation and prosecution of pending, we have decided to formalize a liaison between lawyers and journalists community, enabling us to work towards a mechanism to end impunity. We urge the government to expedite the investigations and prosecution in the pending cases of attacks on journalists. We demand the initiation of judicial inquiry in the case of Shan Dahar, a journalist with Ab Tak TV, killed in Larkana in 2013. We demand that the government make public the reports of Hamid Mir commission and the Saleem Shahzad commission. We urge the government to take immediate steps to protect journalists in Balochistan and ensure the provision of a safe environment for journalistic expression, so journalists can perform their democratic function without fearing for their lives and safety.